At Glowips we have professional corporate trainers who have both certification and experience of Training, Management, Taxations , .Net and ERP . 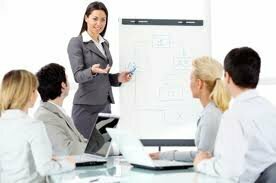 They are highly qualified professionals with dedicated skill in Tally Software Systems. Our Corporate trainers have successfully completed high end projects for Press Council Of India and Maharishi Ayurvedic Pvt. Ltd.
CA’s for Multiple Batch Wise training on Income Tax and Auditing Controls. We provide training at your site on both Hourly Basis and Day basis. Training can be booked for full day or limited hours with our executives for Implementation, Synchronization, Taxation Matters and Complete accounting training. Corporate Professionals, Industrialists, any Tally end user can arrange special sessions at their workplace / sites with our Tally Trainers. This Tally Corporate Training covers entire Delhi – NCR and other limited areas within a span of 50-60 Kms. All trainings are to be booked in advance of at least 2 days.